It’s Time for the CMA Music Festival in Nashville, TN! The CMA Music Festival returns to Nashville for the 42nd time in 2013 with a huge lineup. From June 6th to the 9th hundreds of the countries top artists will be taking to the stage and performing around the city to entertain one of America’s greatest cities. With the LP Field and the Chevrolet Riverfront Stage hosting the best country bands the world has to offer, also keep an eye out for other venues in the city putting on some amazing parties, with some great local country talent! 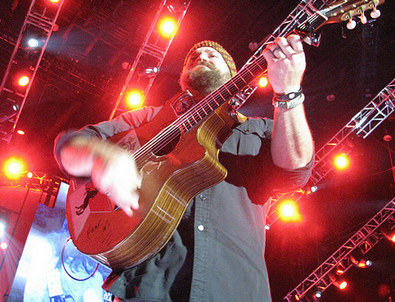 The Zac Brown Band, Kieth Urban, Blake Shelton, Kelly Clarkson and Carrie Underwood to name but a few will be performing at the LP Field this year. Many more artists, including Taylor Swift to the Oak Ridge Boys will be on this stage as well, with even more artists set to be announced. The Riverfront Stage will also be putting on one amazing show. Headliners including Phil Vassar and Sunny Sweeney are tantalizing performers, and will share the stage with dozens of other country musicians. The fun doesn’t stop at the official stages. the AT&T Uverse Fan Fair will give you the opportunity to meet hundreds of celebrities, and get autographs from your favorite country performers. If that wasn’t enough, head on down to Broadway, where you can find live music playing in the streets, free food being handed out to all, and plenty of free goodies being given away. On Friday and Saturday you will want to be down here between 11am – 4:30pm where things will be getting even more exciting with the ABC Summer Block Party! It doesn’t stop there. Events are being held all around the city, where you can meet musicians, explore the music scene, and of course, check out the awesome Country Hall of Fame! The CMA Music Festival is one of the biggest events in Nashville, but it is about more than just a party. To date the CMA music festival has raised over seven million dollars to bring music equipment to schools in Nashville, support the Country Music hall of Fame, and more! You will be doing a lot of walking around and exploring during the festival, so pack sunscreen, and stay hydrated! Also make sure you plan ahead, with so many performers and celebrities appearing around Nashville, you will want to make sure you don’t miss anyone who you really want to see live! The schedule will appear on the official website before the event begins, so you can find out exactly when and where you need to be! For more information about the CMA Music Festival and details about the lineup, tickets, and extra activities to enjoy, please visit their website: click here. And if you find yourself enjoying the music and not wanting to leave the area, start your search for a new home with us. Click Here to Stay in Touch with the Music & Find a Dream Home!